For members of RBHS choir, it was a night to remember. They held a Madrigal Extravaganza Concert on Wednesday, Dec. 9, marking one of the last choir concerts scheduled for the semester. Men’s and Women’s Choruses both performed in the show. Sophomore Anna Inslee, who participated in the concert, believes everyone performed to the best of their abilities and was proud of not only her individual performance, but the choir’s as a whole. 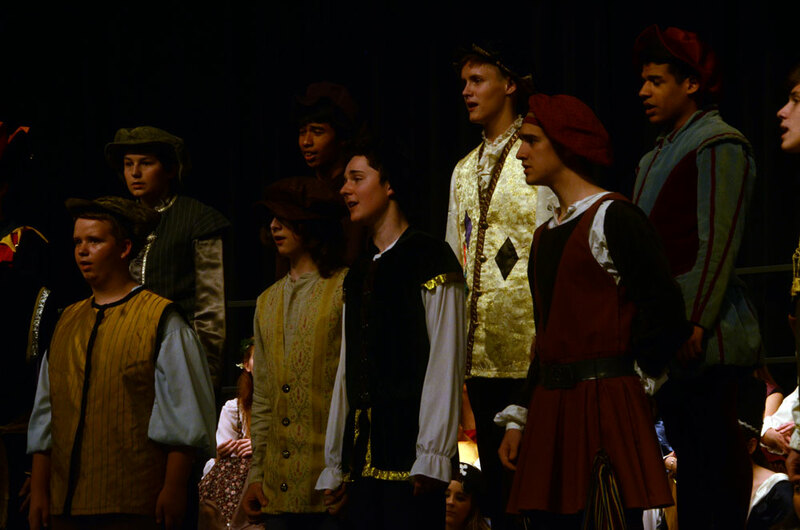 The theme of the concert was that of a madrigal, a choir-based song which was commonly recited in the Renaissance era. The choir chose Renaissance as a theme for the concert to reflect and learn about the era in a convenient fashion. Along with the vocal arts presented during the concert, dances from the Renaissance were also performed. This included a brief maypole dance, which is a folk dance in which students performed around a tall wooden pole referred to as a “maypole”. While choir students spent several weeks preparing for the concert, Klasmeier still believes there is room for improvement. Despite the minor shortcomings members of the choir saw within themselves, their performance was well-received by the audience. After the conclusion of the concert, a standing ovation followed from those watching. In Inslee’s eyes, the choir team put on a proficient performance and the team can get even better through dedicated practice.